YiA | How Did a Load of Rubbish Win One Student a $12,000 YiA Scholarship? How Did a Load of Rubbish Win One Student a $12,000 YiA Scholarship? When cycling through The Redwoods with his family, Mount Maunganui College student Sam Sheaff was shocked to see energy gel sachet rubbish everywhere. This was his lightbulb moment. He started to think about how he could prevent the amount of gel sachets being thrown all over the forest floor and help keep our forests rubbish-free. Having found a problem, Sam and his teammate Holly, started the fun part – coming up with a solution. Introducing the Gel-Shel! Gel-Shel is an energy gel sachet holder for cyclists, making it easy to keep the empty sachets instead of throwing them on the ground. His solution was a winning one because Sam researched the problems cyclists faced and designed the gel holder to suit them. It is small, washable, durable, and easily put on and off. He even made a prototype, tested it with his users, and then made changes based on their feedback. Innovations like this go a long way towards helping reduce rubbish in the sporting world. What a winning idea! 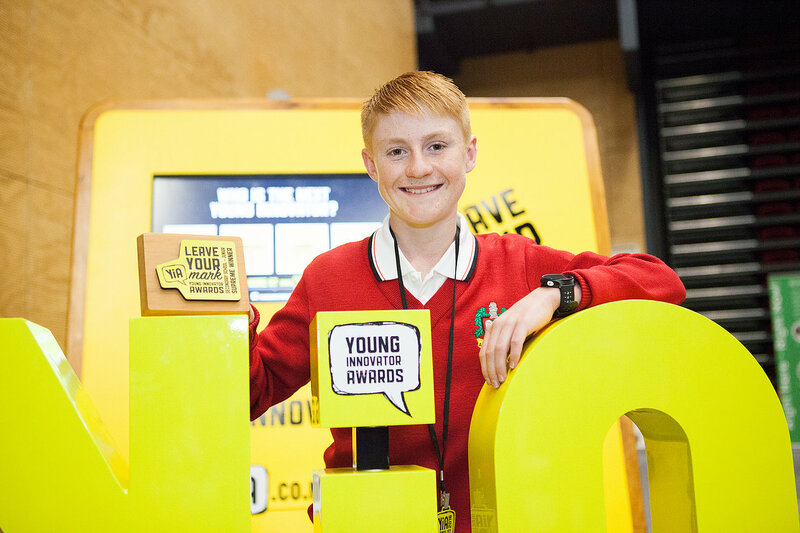 For his efforts, Sam won a YiA scholarship – the opportunity to spend two weeks with the Bay’s leading innovators, including product development agency Locus Research and brand innovation agency Woods, to develop the idea and gain real work experience. Great for the CV right?! He also won a cash plus of $1,000. At his internship, Sam got to bring Gel-Shel to life, learning about what is involved every step of the way, from research to marketing. He learned a whole heap about innovation and gained awesome hands-on experience, all the while improving his problem solving, research and idea generating skills. It’s a win-win! Sam wasn’t sure what to expect at the start of YiA, but now he knows how fun problem-solving can be, he is even considering a career in innovation! Register now for YiA and the chance to be a winner too.